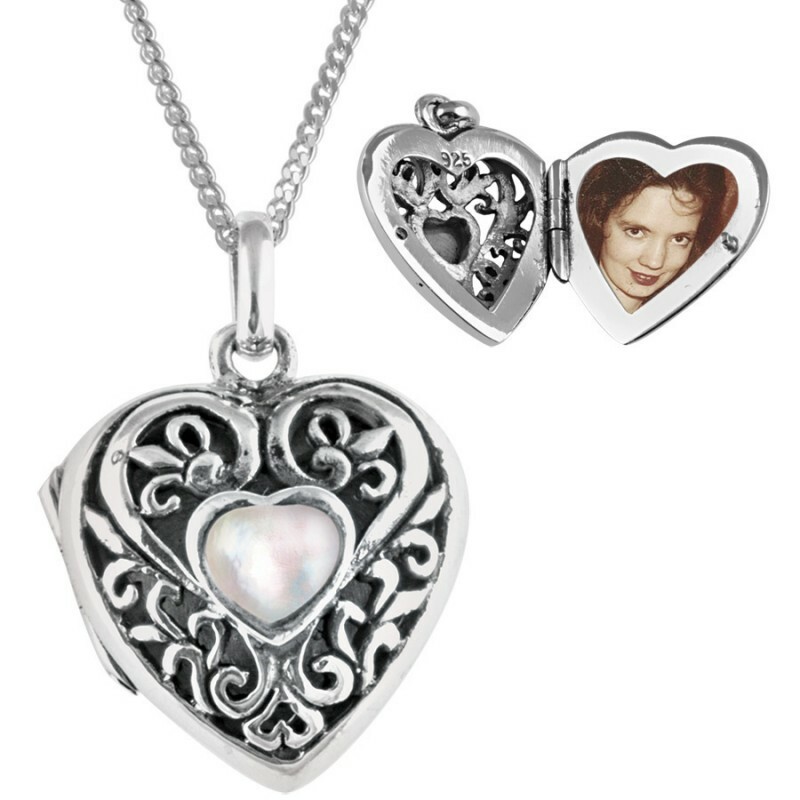 A heart for your treasured photos, this mother of pearl set filigree heart pendant is finely crafted to the highest standard from hallmarked sterling silver. 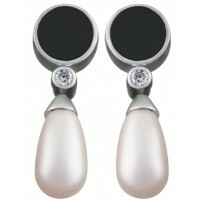 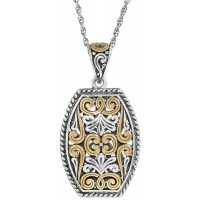 It hangs elegantly on a 51 cm (20 inches) flat curb chain. 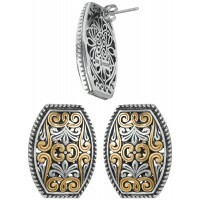 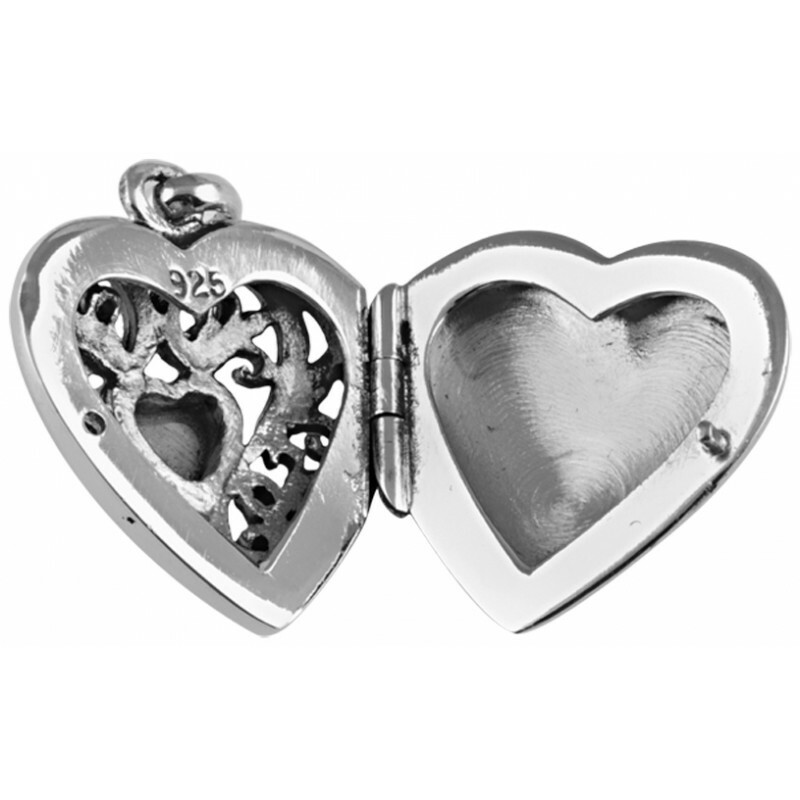 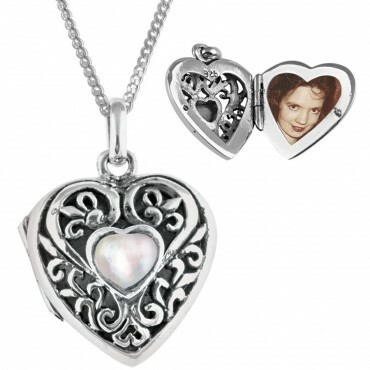 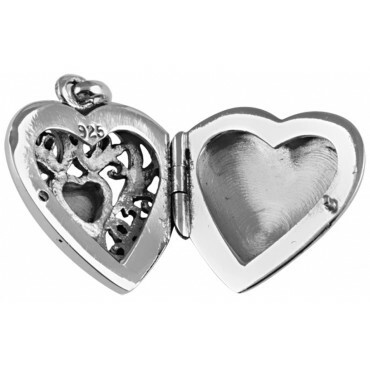 Heart shaped, with a mother of pearl set in the centre of the filigree design, this locket showcases design excellence at its very best.